Despite its massive growth during the past three decades, there are still many parents hesitant to enroll their children in martial arts schools. Fear of injury, hand-to-hand combat, and strict discipline prevent them from enrolling their kids in schools that actually spend more time teaching life skills than they do on sparring. 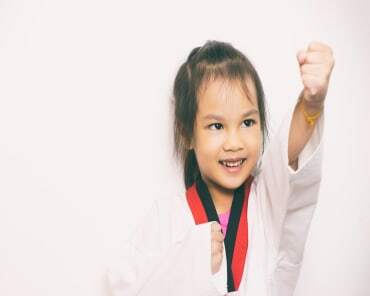 In fact, practicing martial arts has numerous benefits for children that go far beyond self-defense and fitness. Twelve key benefits have been summarized here for you. "In the dojo, young students learn to bow to their sensei and to their opponents. Respect is instilled from the very first lesson." "Overcoming obstacles and achieving the unthinkable requires extreme self-control and the ability to focus on the long-term." "Progressing through ranks and achieving mental, physical and emotional growth builds confidence in children of all ages." "Martial arts teaches proper breathing techniques and a state of awareness that hones focus in even the most hyperactive of children." "Bullying awareness and defense against predators empowers children and can even save lives." "Effective breathing techniques, structure, focus, and improved concentration allow young martial arts students to calmly deal with stress." "Training as a team and participating in team-based curricular activities help build character and essential social skills in children." 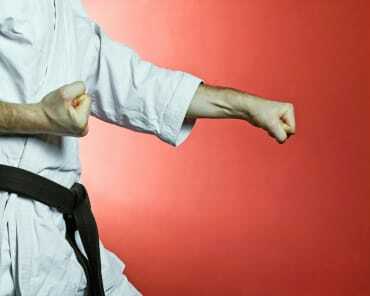 "Developing as a martial artist requires dedication to fitness. It is an effective way to combat obesity and encourage healthy eating." "While it may seem counter-intuitive, most martial arts teach children how to resolve conflicts without resorting to violence." "Poor balance and posture can lead to cramped organs and other unhealthy developments. Focus on these areas also improves fighting technique." "Focusing on body awareness and breathing helps develop coordination allowing children to excel in many other activities." "The memory and retention drills students go through develop memorization that benefits children in school and in their day-to-day life." If you are interested in trying one of our programs to see what it can do for you, take advantage of one of our Risk-Free Trial Programs and take te first step into an amazing world of potential!